Gone are the days when pickup trucks were little more than tools for getting a job done – today’s Chevrolet Silverado is packed with amenities that let drivers get the job done comfortably. Not only does the truck offer a smooth ride, but it provides drivers and passengers with an 8-inch touchscreen navigator, voice-activated radio and phone technology, and SiriusXM satellite radio. The standard Silverado engine is a 4.3-liter V-6 with a six-speed automatic transmission. This engine produces 355 horsepower and offers a top speed of 99 miles per hour. However, Chevrolet also offers the option of upgrading that engine to a more powerful 5.3-liter V-8 that offers 383 pounds-per-foot of torque, or a heavy duty 6.2-liter V-8 with 460 pounds-per-foot of torque, an 8-speed automatic transmission, and 12,500 pounds of towing capacity. As with most pickup trucks, the Silverado offers a number of cabin and bed sizes. You can choose a regular-sized cab fit for driver and passenger, a double cab that fits four individuals, or a spacious 5-person crew cab. Likewise, you can purchase a Chevrolet Silverado with a 5-foot 8-inch bed, a 6-foot 6-inch bed, or an extra-large 8-foot bed according to your needs. All beds feature a heavy-duty spray-on bed liner that is permanently sealed to the truck bed, forming a watertight bond. The Silverado features a full leather interior with 12-way driver’s seat adjusters, including a 4-way lumbar control for maximum comfort. The car’s floor-mounted console is configurable, featuring cup holders, cell phone storage, cable management tools, and wireless charging capability for some devices. This pickup truck features a leather-wrapped steering wheel on a manual tilt and telescoping steering column, with embedded auto and cruise controls built in. Dual-zone automatic climate control is available on double cab and crew cab models. 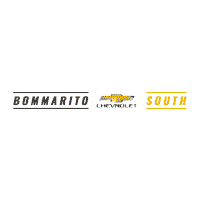 Head over to your local Bommarito Chevy Dealer and pick out the Chevrolet Silverado of your dreams today!